The EU’s system of farm subsidies is called the Common Agricultural Policy (CAP). It takes up almost 40% of the EU budget, which is nearly 52 billion pounds per year, or 114 euros of taxpayer’s money per EU citizen per year. Currently most of the money is subsidising industrial farming and fuelling intensification: most of the payments are based on the size of the farm, and partly also on the number of animals farmers have: the more hectares and animals farmers have, the more subsidies they get. Every 7 years, there is a chance to change the CAP. 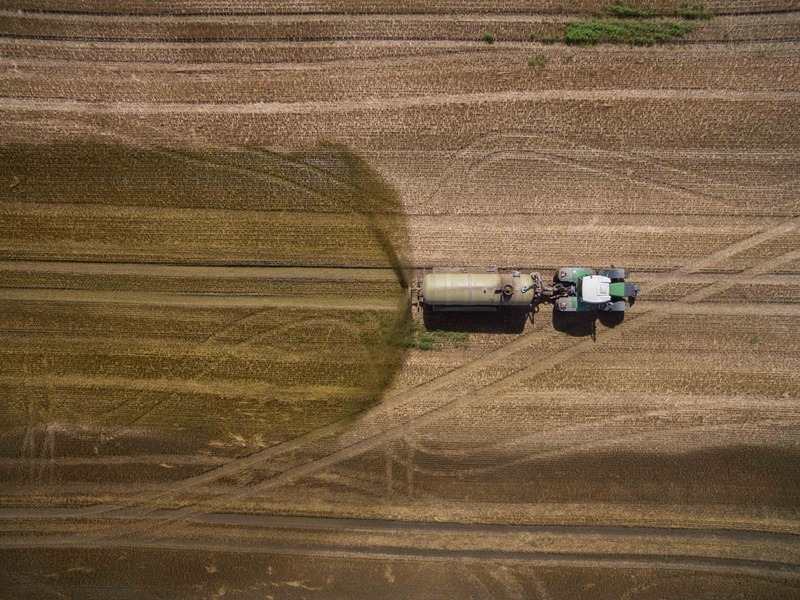 In a consultation organised by the European Commission in 2017, 80% of the respondents called for a fundamental transformation of the CAP to make farming good for nature and people. But the Commission ignored citizen demands and opted largely for business as usual. Now, it is the EU Parliament’s turn to react to the Commission’s proposal. For the first time, MEPs (Members of the European Parliament) from not just the Agriculture Committee, dominated by strong farm lobby interests, but also from the Environment Committee, will be able to bring in concrete new ideas and changes on crucial aspects of the Commission’s proposal. This can turn the situation around and allow for more money to be spent on nature-friendly agriculture. We are asking the EU to honour its international commitments and make the CAP work towards the Sustainable Development Goals. MEPs should listen to their citizens, even more so because of the EU elections in May. MEPs must vote for at least 26 billion pounds per year (50% of the CAP) to be spent on nature-friendly farming measures that deliver on biodiversity, climate, soil, and water objectives. 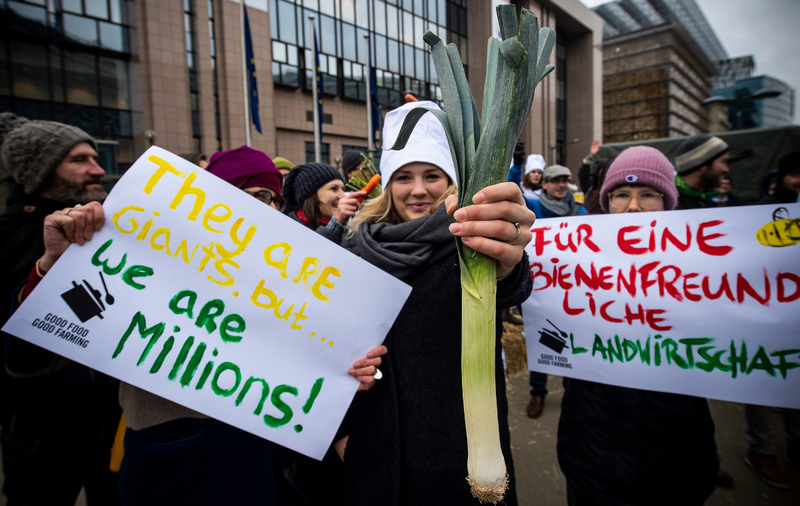 MEPs must vote to shift money from direct payments and meat and dairy subsidies that fund industrial agriculture which are not properly respecting the law, fuelling intensive animal production, and thus damaging our health and our environment. Industrial farming is not good for anyone. It is or good for animals for people or for the environment. Low welfare standards, use of chemicals with little regard for ethics, profit is the only motivation for the owners of these “factories” of the country side. I have always hated the cruelty that is entailed with a lot of industrial farming methods and would love to see an end to it. this is not progress and being dictated to on such a scale, I wonder who is making the money here. We consume 50% more meat than we should - and mostly full antibiotics and of low quality. On Thursday the European Parliament will state whether this poor farming should be funded with our money. But we’ve identified 41 of members of the EP who could swing the vote! If they feel the pressure from their electorate, we could convince them to fund healthy meat production... Sign! Everyone can see what happens on a Facebook wall! A bunch of our representatives will vote next Tuesday and decide what will land on our plates: meat stuffed with antibiotics and from ill-treated animals … or better meat that doesn't damage our health. Our pressure helped us win the first vote last month. Let's do it again! 5. Repeat with a different MEP or message! Our WeMove community has been campaigning for years for a good farming model, that feeds us healthy food and meat. We now have the unique opportunity to influence how money from the EU budget is invested: poisonous meat, or a healthy diet that doesn’t make us sick? It depends on whether our voice can prevail over the big farming lobbies, which seek to continue to profit from selling inputs to farmers. Can you chip in each month and help the struggle for good food from good farming continues? Thank you for standing for health and biodiversity with us. It is only together that we can truly be a force to be reckoned with.